This sandwich is a good balance of carbs and fat. Enjoy it with a side of lean protein to keep it balanced and stabilize your blood sugar. Spread nut butter on both slices of bread. 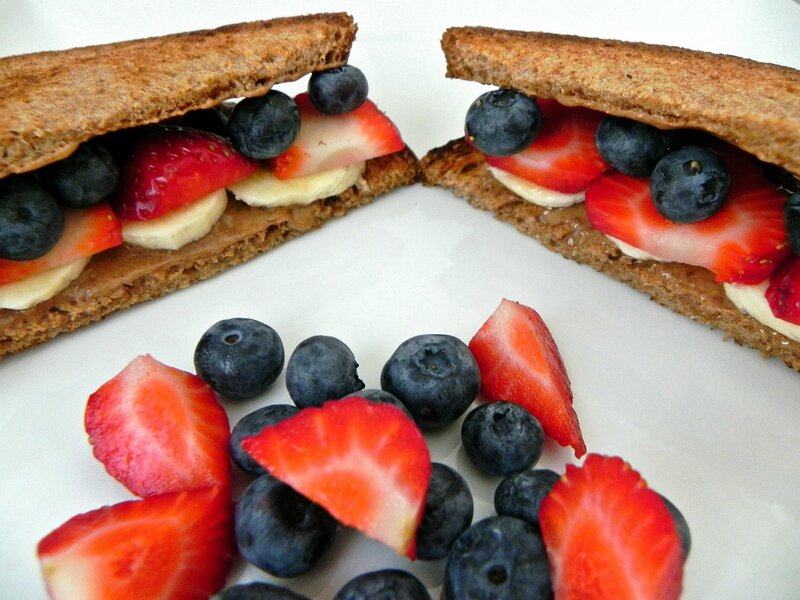 Layer bananas, strawberries, and blueberries on bottom slice of bread and top with second slice of bread. Cut in half and devour! *This sandwich is even better if you make it in the morning, store it in a plastic ziptop bag or container and eat it for lunch. The nut butter softens the fruit and makes it all jammy and DELICIOUS!